Power is only the beginning. 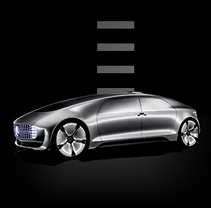 At Mercedes-Benz, we're not interested in building cars that are merely powerful or fast. Instead, we choose to engineer automobiles that combine the many facets of performance to create something extraordinary: sensations that can't be expressed in horsepower and torque. Because to us, cars aren't just machines. And what they make us feel can't be measured. Beneath the hood beats the heart behind the soul. 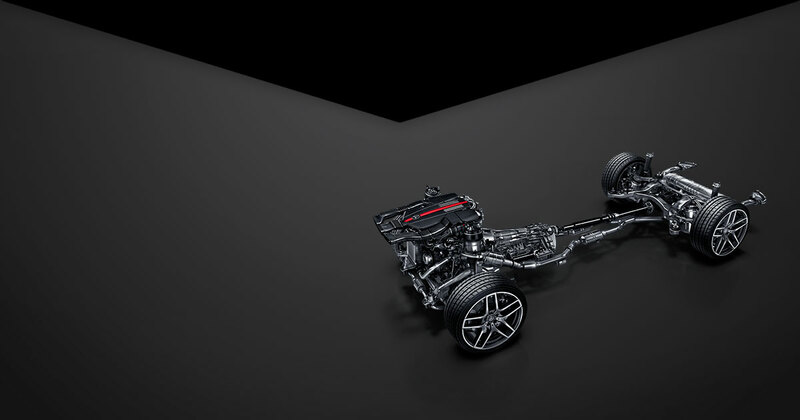 Ever since Carl Benz introduced the Patent Motorwagen in 1886, the engine has provided the spark for automotive performance — and for the automobile itself. 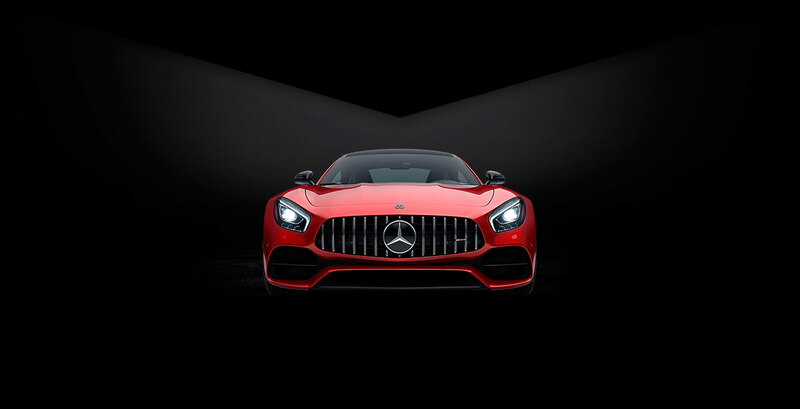 Today, that spark takes many forms at Mercedes-Benz, from the world's most powerful inline 4-cylinder to a massively muscular V12 to advanced hybrids that point the way to the automobile's future. They're not only engineered for exceptional power and responsiveness, they're refined to provide remarkable efficiency. Now with shift paddles standard, the industry's first 7-speed automatic transmission has been re-engineered for even more fluid, efficient and responsive performance. Designed specifically to handle the massive torque of a Mercedes-Benz V-12 engine, our acclaimed 5-speed automatic adapts to individual driving style and also offers paddle shifting. Delivering quick, decisive gear changes and the pure, sports-car feel, our short-throw 6-speed manual comes standard on the SLK250 Roadster. The true measure of power is in its delivery. Since their job is to transfer power from the engine to the wheels, transmissions play a pivotal role in any vehicle's performance. Take the smooth control of our 9G-TRONIC 9-speed, precisely matching the ratios for the driving situation at hand. 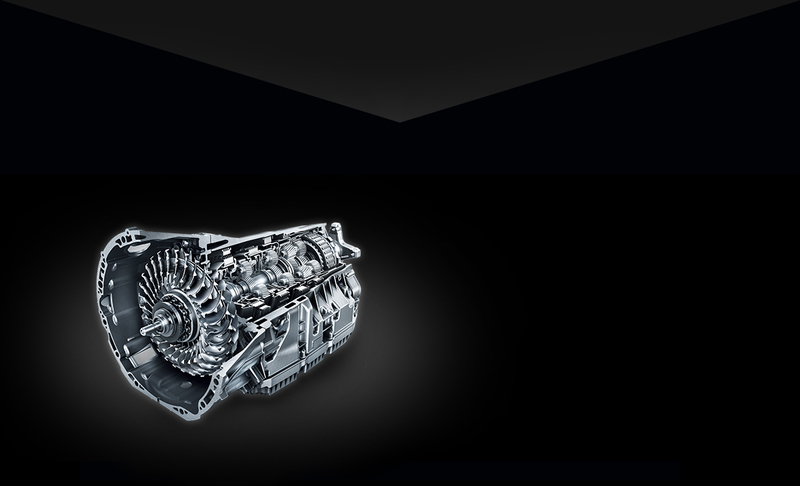 Or the AMG SPEEDSHIFT® DCT 7-speed, which can shift between gears in just milliseconds. These and our many other Mercedes-Benz transmissions are adept at harnessing output so that it can be delivered quickly, smoothly and efficiently when called upon. Engineered to grab you, not to mention the road. Our vehicles are designed to distribute weight so they both hold the road and deliver a rewarding surge during acceleration. They're also equipped with Electronic Stability Program (ESP®), a traction-control system we unveiled in 1995 that has become an industry standard. Then there's our legendary 4MATIC all-wheel-drive technology, which continually redistributes power to the wheels with the best grip — even if it's only one of them. Available or standard in no less than 21 vehicles across ten of our model families, 4MATIC offers additional confidence and control, for whatever condition you're driving in. So advanced, they can make adjustments on the fly. At Mercedes-Benz, we believe a responsive ride and a comfortable one aren't mutually exclusive. So we engineer suspensions that adapt not merely to the road surface, but also to driving style — delivering the right balance of athleticism and composure based on the situation. Each shock absorber quickly recalibrates in response to vehicle movements and changes in the road surface — firming or softening response as needed. Electronically controlled air springs adjust to changing input from road, vehicle and driver — even lowering and raising ride height to suit driving conditions. A network of sensors and hydraulics counteracts the effects of roll, vibration, pitch, dive and squat during cornering, braking and acceleration. Exclusive to MAGIC BODY CONTROL, an innovative system called Road Surface Scan uses a camera to study the road ahead and prepare the car for bumps and dips. 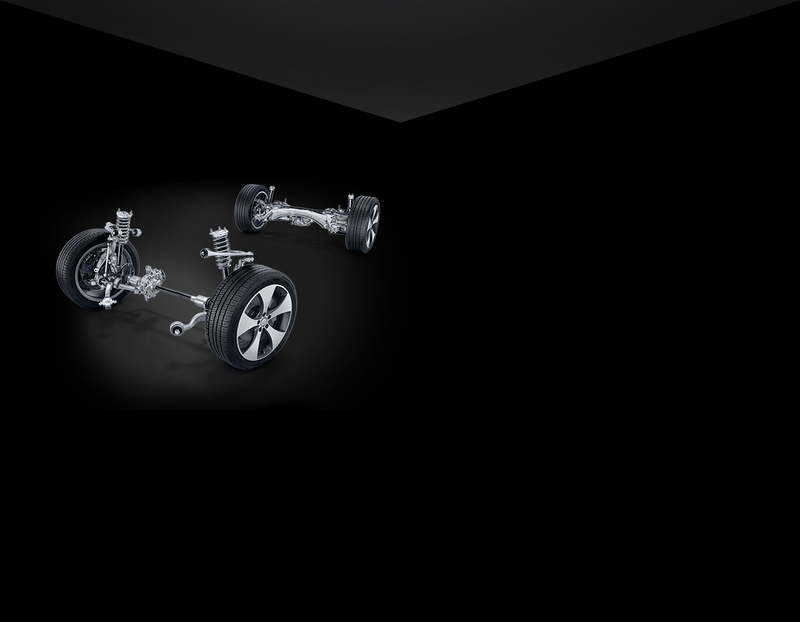 Engineered specifically to each vehicle, this suspension increases damping to all four wheels for better control, crisp cornering and a visceral feel of the road. Pioneered by Mercedes-Benz in 1978, ABS can pump the brakes up to 30 times per second so steering control can be maintained during heavy braking. By monitoring how you apply the brakes, BAS can deliver full stopping power almost instantly if the system senses emergency braking. Sometimes, it's about how fast you can go from sixty to zero. While acceleration may get all the attention, deceleration is just as important in the performance equation — and often, even more so. 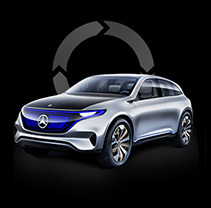 That's why Mercedes-Benz adaptive braking technology and other braking systems include a range of features designed for not only quick, but precise, stopping. If you take your foot off the accelerator quickly, the brake pads move closer to the discs for a more immediate response when you apply the brakes. In the rain, the brakes are applied imperceptibly at regular intervals to sweep water away from the discs. When you're stopped on an incline, brake pressure is momentarily maintained so you can shift your foot to the accelerator without rolling backward. 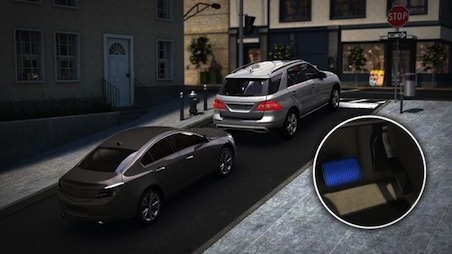 When activated, the HOLD feature keeps your vehicle at a standstill — even if you've removed your foot from the brake. Performance vehicles for every driving need. Founded in 1967 by two automotive engineers, AMG began as a "tuning" shop that transformed Mercedes-Benz vehicles into race-winning beasts. Today, as the high-performance division of Mercedes-Benz, it plays a central role in our racing program and provides safety cars for the Formula 1 World Championship. It also happens to produce some of the most sought-after vehicles on the planet. 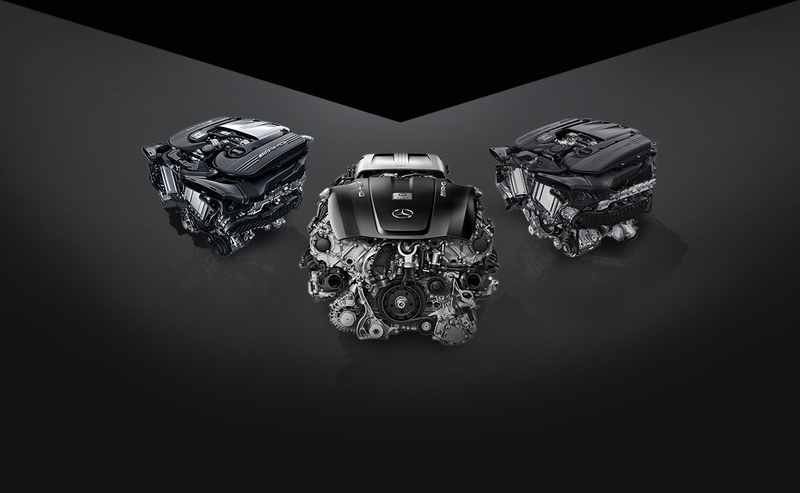 The Mercedes-AMG portfolio is the most prolific of its kind in the world, with the best of its engines handcrafted according to the "One Man-One Engine" philosophy. From the athletic and responsive AMG C 43 to race-track-ready machines like the AMG C 63 and the GT family, there's an AMG automobile for every driver that craves the thrill of pure performance. The best way to build performance-driving skills is behind the wheel of the world's finest performance machines. 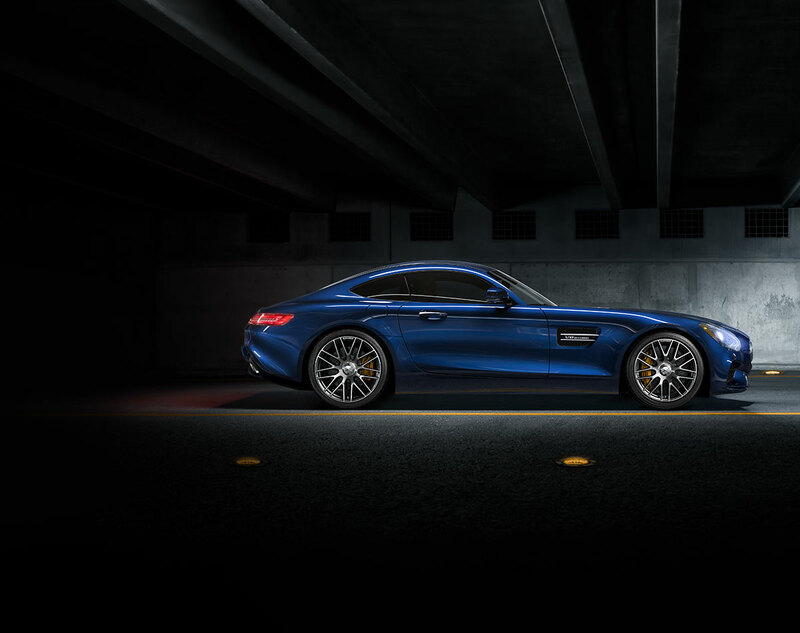 The AMG Driving Academy puts you in the driver's seat of a Mercedes-AMG vehicle, under the tutelage of professional instructors on legendary racetracks. We never stop inventing new ways to realize the potential of the road ahead. 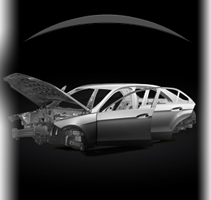 We continue to pioneer technology that helps both protect from and prevent collisions. 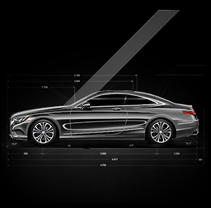 We combine artistry and engineering to create cars that are visionary from every angle. We redefine mobility itself: Connected, Autonomous, Shared & Services and Electric. † Stated rates of acceleration are based upon manufacturer's track results and may vary depending on model, environmental and road surface conditions, driving style, elevation and vehicle load. ‡ With optional trailer hitch. Read Operator's Manual before towing. In some states, aftermarket trailer brakes are required. See dealer for details.